Add a touch of elegance to your kitchen or bathroom with the Copper Mirror mosaic tile. 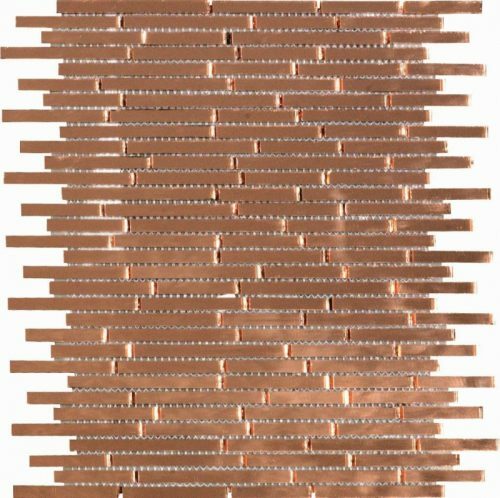 This stylish mosaic is made of narrow strips of coppery mirror components. It is suitable for use as a wall tile in indoor areas including kitchens, bathrooms and dining areas. 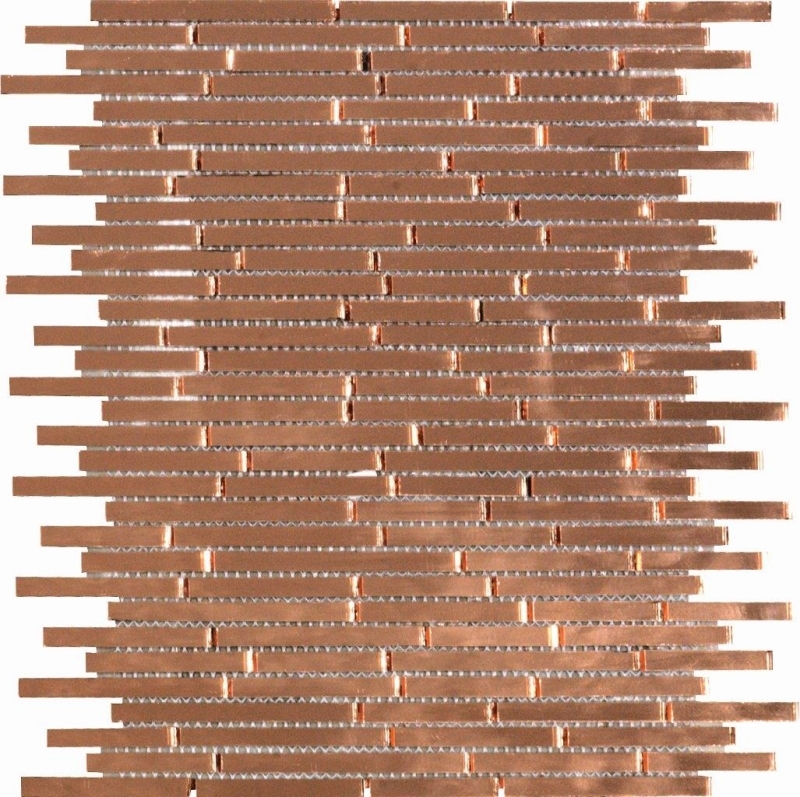 The Copper Mirror mosaic tile is available in a standard size of 26.5×28.5cm and is sold per piece. This mosaic tile is all about great looks. The mirrored copper finish has the ability to create a feeling of spaciousness and complements both traditional and contemporary home décor. 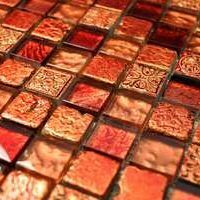 For a mosaic tile, the Copper Mirror tile offers great value for money. It exhibits the highest standards of quality and it is built to withstand the test of time. It will not lose its shine or sheen even many years after installation. Moreover, it comes pre-mounted on sheets, which allows for easy and neat installation. 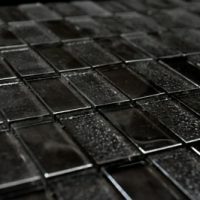 For a stylish and elegant glass mosaic tile in Perth, look no further than the Copper Mirror mosaic tile. 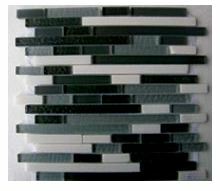 Buy this gorgeous mosaic tile at an unbelievable bargain from our online store today!